Alexander Fox is a freelance tech writer who loves translating tech for consumers. His work appears in AppleGazette, MakeTechEasier, and SpyreStudios. The most reliable way to scan a document on macOS is with the pre-installed Image Capture program. Image Capture also has the benefit of being simple and easy to use, making it ideal for occasional scanning and those who are less confident in their technical know-how. Open Image Capture. You can find the app at /Applications/Image Capture.app on your Mac or type the name into Spotlight of Finder. Select your scanner from the pane on the left. If you don't see your scanner, click Shared on the left to reveal shared devices. If your scanner doesn't appear at all, first, reinstall the scanner and see if it appears. 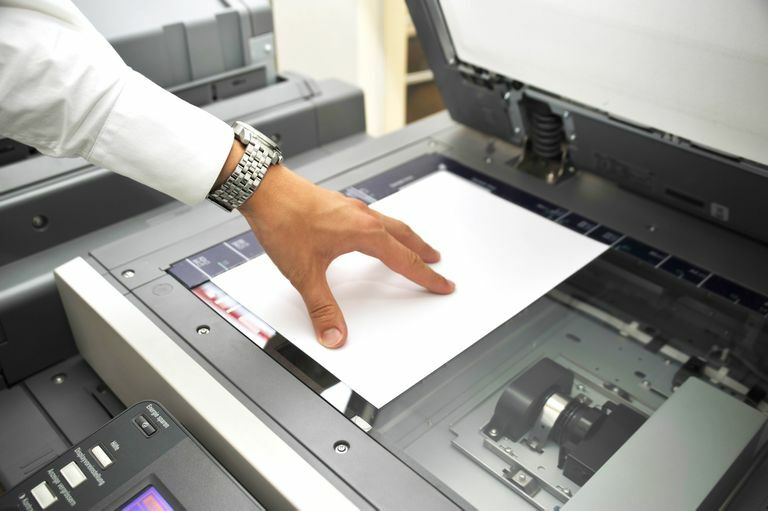 If not, you may need to reset the printing system before manually reinstalling the printer or scanner on your Mac. Also, ensure you have any necessary software or drivers from the scanner manufacturer downloaded and installed. Image Capture will automatically warm up the scanner. If you're using a flatbed scanner, the app will also do a quick overview scan. This is just a quick preview, not your finished scan. Click an area of the scan not surrounded by the box. Click and drag to create a bounding box around the object you want to scan. Repeat as many times as necessary to get all your objects selected. If you just need one scan, you can drag the anchors on the existing selection box to change its dimensions. Select the correct scanning options in the right-most pane. Most importantly, use the Scan To drop-down to chose where your scan will be saved. The default option is the Desktop. Click Scan to start your scan. When the scan is finished, you'll find the scanned file saved in the location you set previously. Once the scanning head returns to its resting place, open the scanner and take out the document. If you set PDFs to combine into a single document, the next scans will be attached to the end of the created PDF. Kind: Select either Color, Black & White, or Text. Changing this will update the overview scan to reflect your selection. If your scanner is properly calibrated, the colors should be very similar to the original document. Resolution: Set the DPI, or dots per inch, for your scan. Each dot of the DPI represents a single pixel. The higher the DPI, the more pixel in each square inch. 300 to 240 are sufficient resolutions for typical documents. Higher DPIs should be reserved for documents that will benefit from a higher resolution, like photo prints. Sizing: Set the size of the selection box in inches. Rotation Angle: Rotates the selection box clockwise by a specific number of degrees. Auto Selection: During the overview scan, Image Capture automatically detects your document edges and places the selection box around them. If it's not working right, you might want to tweak your options here. Detect Separate Items: Locates multiple items on the scanning bed. Each item gets its own selection box and its own file. Detect Enclosing Box: Will place one box that captures all of your documents. All of them will be scanned at once in a single file. Scan To: Shows where the scanned file will be saved. By default, scans will be saved to your Desktop. Format: Set the file format of the scan. PDF is best for documents or a mix of text and images. JPG or TIFF is best for photos. If you're not sure which to pick, PDF will always work. A PDF can easily be turned into a JPG later. If you select PDF, you'll see a checkbox labeled Combine into single document. This setting combines all your scans into one multi-page PDF. If you forget to click this box, PDFs can also be combined in Preview after the scans are complete. Image Correction: If your scanner supports it, you'll see image adjustment options here. Change the drop-down from Automatic to Manual to reveal correction sliders for brightness, tint, temperature, and saturation. The histogram above the sliders will change as you apply corrections. When Does MacOS Mail Display PDF Contents in an Email?